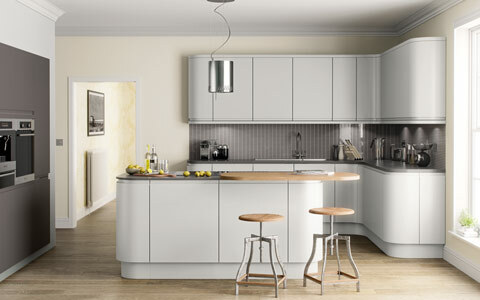 Matt kitchen doors feature a sophisticated and natural kitchen door finish. A matt door finish provides a smooth texture to the kitchen door fronts without the shine and reflective nature of high gloss finish. 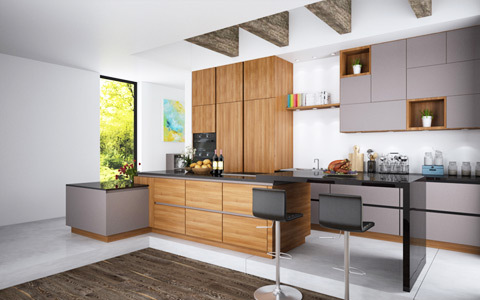 Our matt kitchen doors collection includes MFC (Melamine Faced Chipboard), Laminated, Vinyl, Acrylic and Glass kitchen doors. 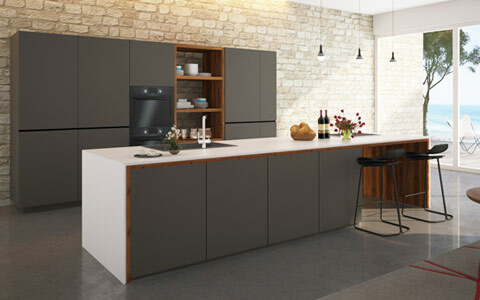 Use any of our matt kitchen doors to create your dream matt kitchen that is easy to maintain, durable and most of all, resistant to fingerprint markings. View our ultimate made to measure matt kitchen doors collection consisting of different type of doors to suit every budget. 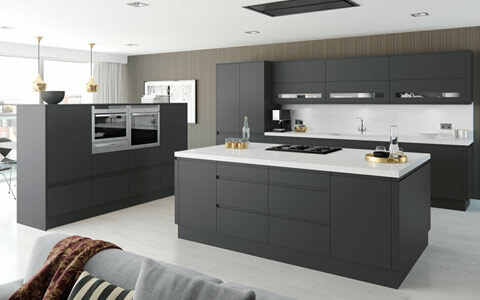 Affordable Matt made to measure kitchen doors collection. 32 single tone colours to choose from. 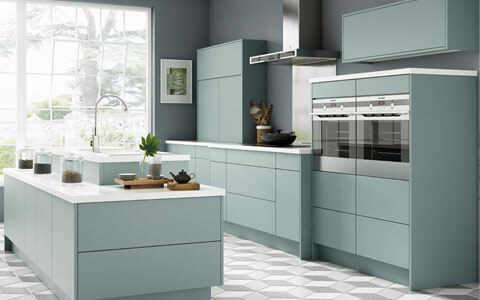 Durable Matt vinyl kitchen door collection consisting of 12 modern colours. Available in over 53 door styles. Sophisticated collection of made to measure lacquered kitchen door. Available in any colour of your choice. 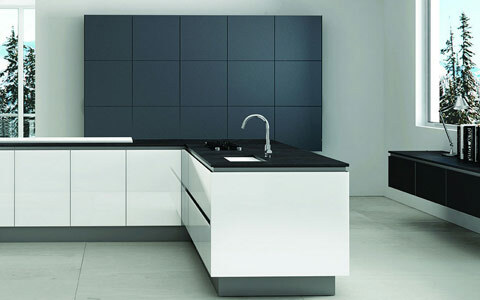 Supermatt matt acrylic made to measure kitchen doors collection. 6 modern and elegant colours. If you are looking for something exclusive and premium, then consider our range of real glass matt kitchen doors. Matt finish is created by back of the glass being painted and the front of the glass is acid etched to create a cloudy matt finish. Available in bespoke sizes with ability to choose any colour you desire. Great for use in feature parts of your kitchen such as islands, tall units or bi-folds. 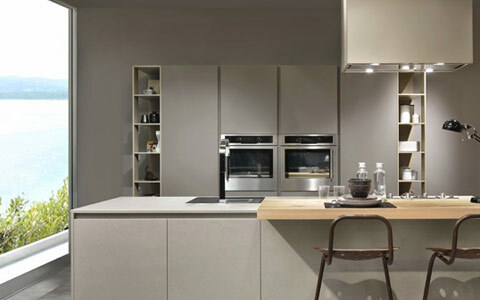 View our two matt J-pull handleless kitchen door collections. Choose between stocked or made to measure collections. Fully stocked matt handleless J-pull kitchen doors. Available in four modern and exclusive colours. Made to measure J-pull handleless doors in standard 15 colours with ability to choose any colour of your choice.